There was a lot of Instagramming during the World Series this year. If you've used Instagram at AT&T in the past year, you're not alone. 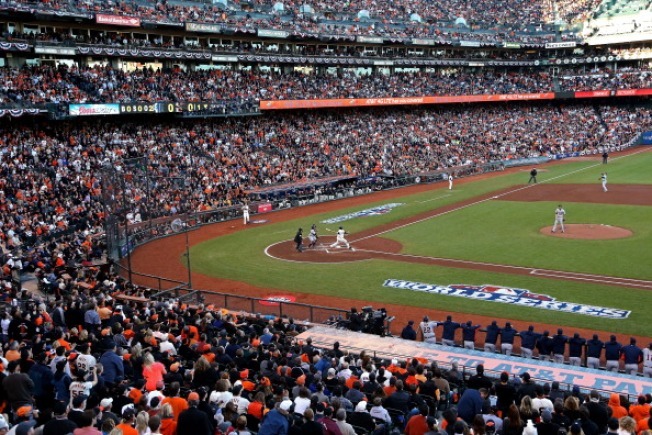 In a list released on the official Instagram blog Thursday, AT&T Park ranked as the fifth-most popular "Instagramming" location in the world. Disneyland in Anaheim (No. 3) and Times Square in New York City (No. 4) ranked ahead of the home of the World Series-champion Giants, but the top two spots are both head scratchers. Coming in at No. 1 is the Suvarnabhumi Airport in Bangkok, Thailand, followed another Bangkok spot, the Siam Paragon Mall. Rounding out the top 10: No. 6 Los Angeles Internation Airport; No. 7 Dodger Stadium, Los Angeles; No. 8 Eiffel Tower, Paris, France; No. 9 Staples Center, Los Angeles; No. 10 Santa Monica Pier.